Urrugne, very beautiful property including a 500 sqm main house, a caretaker apartment and 2 outbuildings to renovate. 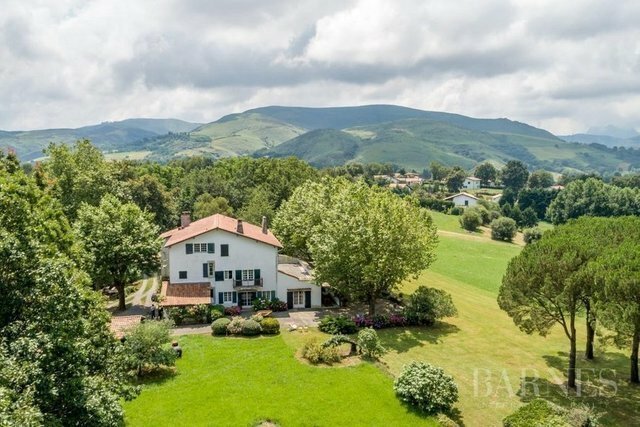 Built at the end of the XIXth century, on 3 hectares land, the house offers spacious living and dining rooms with fireplaces, 10 bedrooms and 7 bathrooms. Gorgeous terrace with a beautiful view of the meadows and mountains. Renovation works will be needed.